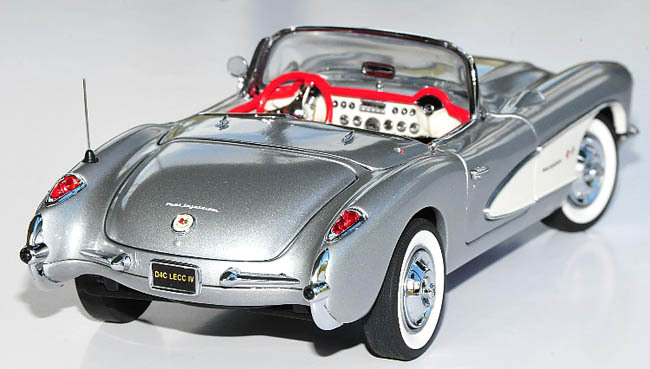 For the fourth time, Franklin Mint has fabricated a special car for the DieCast Car Collectors Club (D4C). This one is based on their Venetian Red Fiberglass version. 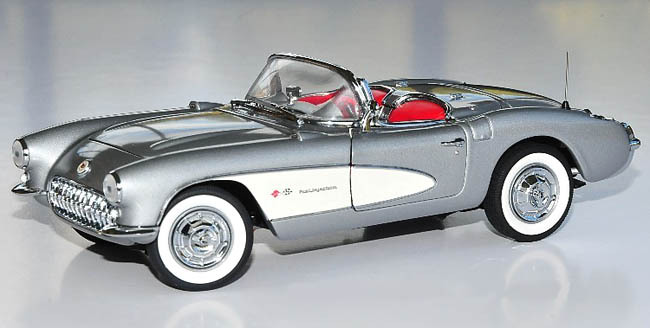 After some research, it was realized that Inca Silver was by far, at only 65 units made that year, the rarest '57 Corvette. Rarer still, is the car equipped with Ivory coves. It was reasoned to the group that it would be a dynamite follow up to the Aztec Gold '98 Corvette, LECC I. From there Raffi took over and tweaked the color breaks, addressed some build issues and the model came together very well. Among the changes Raffi spearheaded were as follows: The front license plate bumper frame mount was revised to enable the addition or deletion of a front plate. The rear plate, fixed, is club-specific and reads, "D4C LECC IV". Both front inner fenders have had their tooling revised. 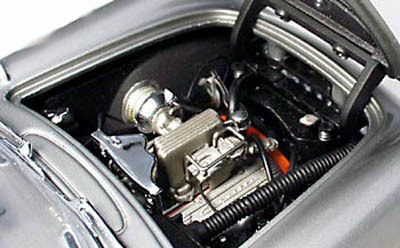 The interior seat texture was changed to a more satin finish with the model tool changed to red and finally, the inner trunk plate was added, "D4C LECC IV Limited Edition One of 999".